Does anyone know what file i have to edit or add to make my game with the hud i have update so then whenever i find a game, the game doesnt crash? There's got to be an easier way to edit the main menu right? Quitting and restarting the game just to move a button over 5 pixels seems like way too much of a hassle. Is there an easier way? beebopThere's got to be an easier way to edit the main menu right? Quitting and restarting the game just to move a button over 5 pixels seems like way too much of a hassle. Is there an easier way? CardfightGamerDoes anyone know what file i have to edit or add to make my game with the hud i have update so then whenever i find a game, the game doesnt crash? lootWhich UI file controls the map end scoreboard for casual mode? What else do I have to add/edit? hi uh my health shadow won't change color on overheal/low health yet it has exactly the same script (well with G_PlayerStatusHealthValueShadow) as my normal health which works. I think you can't remove it, you can only cover it with an other scoreboard element, in fact on yahud old is covered by the 2 white bars. The little tv icon button works as a toggle console button! I think it does have to do with a font (or something) in ya-Old. I imported the scoreboard in that pic, and ended up having the text removed anyways. I think it does have to do with a font (or something) in ya-Old. I imported the scoreboard in that pic, and [url=https://i.imgur.com/56d62qj.jpg]ended up having the text removed anyways[/url]. ok, where to find the mouseoveritem panel to edit? The width of the mouseoveritem panel isn't as big as it should be, it's not text related. Width should be between 300-350 ok, where to find the mouseoveritem panel to edit? Has anyone found a way to get the minimal scoreboard working again? edit: I think this is basically the same question as krayts above. 1. how would you make the 3d class model appear when you disguise, and disappear when you lose disguise? 2. i tried animating PlayerStatusHealthImage (the health cross i think, correct me if im wrong) to turn green (not pulse) on overheal but it just flashes green for a small amount of time every so often. fix? Already solved. In the words of the grand galactic inquisitor "IGNORE ME!" 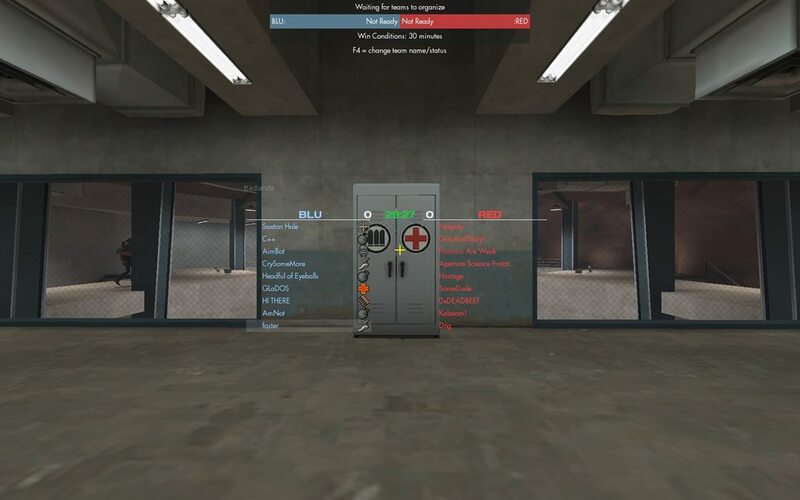 Having a slight compatibility issue between ToonHUD 10.2 and the "Reworked Loadout screen" mod from gamebananna. Basically the edges of the A and D loadout presets are being chopped off. Where can I adjust the position of the "Respawning in X seconds / Prepare to respawn"? In my HUD it is extremely out of the screen on 4:3. 200Where can I adjust the position of the "Respawning in X seconds / Prepare to respawn"? In my HUD it is extremely out of the screen on 4:3.
another question, but is it possible to change the damage number colour on crit?